Poor James! James Corden dished the details on Rihanna&apos;s last-minute Grammys 2016 no-show during his Late Late Show monologue, right after the 58th Annual Grammy Awards on Monday, February 15. Still wearing his tux, the British show host revealed he was due to play a vital role in RiRi&apos;s planned stage extravaganza, and only found out that the entire thing was canceled when he&apos;d already walked the red carpet and bragged about how important he was to be part of Barbadian beauty&apos;s set! "A couple of weeks ago I got asked if I would introduce Rihanna on the show," he explained. "I get a call saying Rihanna&apos;s got this big thing planned for her song &apos;Kiss it Better&apos; and she&apos;s doing a whole &apos;80s talk show thing, and what she wants you to do is be like an &apos;80s talk show host," he went on. "I had funny glasses, and I&apos;d introduce Rihanna and then at the end she&apos;d come and sit with me, like it was its own talk show," he explained. 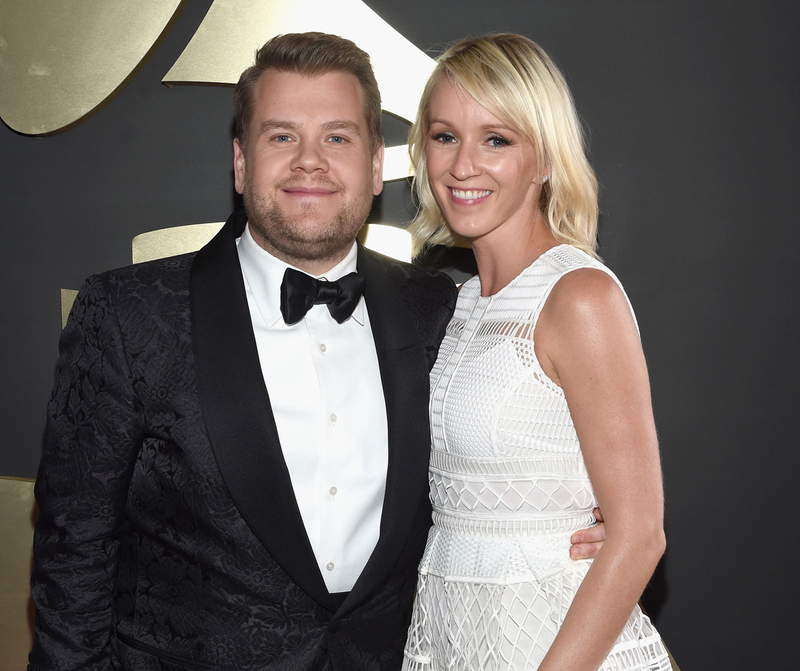 After rehearsing with the former Grammy winner on Saturday, Corden, 37, was good to go, but unfortunately things didn&apos;t go quite to plan. "So today, I get all dressed up, this morning a guy came, measured me for an &apos;80s suit. I get down there, do the red carpet, tell everyone I&apos;m going to be introducing Rihanna, she&apos;s asked me personally to be part of it, it&apos;s amazing," Corden continued. "Then I get to the end of the red carpet and they say Rihanna&apos;s pulled out of the show. She&apos;s been told by a doctor she&apos;s not allowed to sing, and could really damage her voice." Corden went on to explain that he was totally up for doing the performance in her place (showcasing a pretty awesome Rihanna impression in the process) — but the powers that be had other ideas. Watch the video above and find out how LL Cool J saved the day and graciously offered Corden a role so he could salvage something from his potential Grammys disaster!